Flying Bark Productions is an independent producer with an impressive legacy of creating iconic entertainment since 1968. We are a full-service production facility across feature films, television and a diverse range of digital content both short-form and longer-form. Specialising in creating for both our own IP and high-end service projects. Taking great ideas, incredible stories and compelling characters from concept through to red-carpet premiere is our passion. With some of Australia’s most experienced development and production teams, we bring both dynamic creativity and reliability to every production. 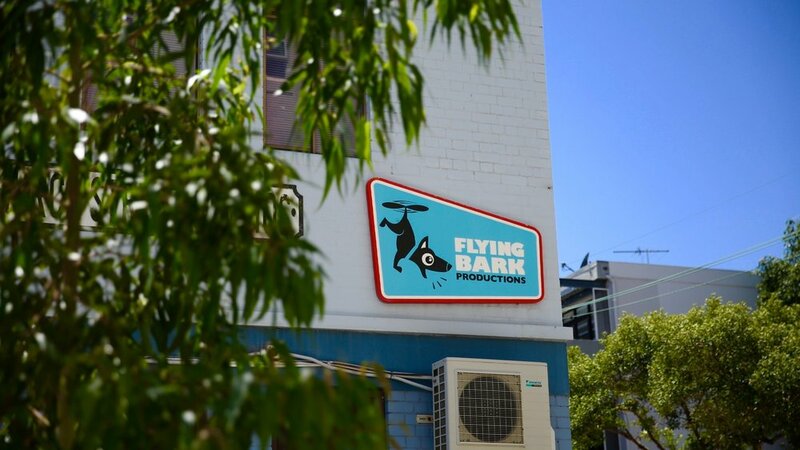 With 40 years of experience in creating original concepts and classic properties, Flying Bark continues to succeed by evolving with the new media landscape and emerging opportunities in the global market. Bark is a buzz with activity and opportunity. Our team is built from the innovative kids who drew on walls, talked too much and daydreamed in class so naturally, we couldn’t be happier! Cultivating a uniquely collaborative and inclusive atmosphere, our multidisciplinary crew is singularly driven by a love of story and adventure. When the going gets tough, the Barkers get creative! Our team is our greatest strength. The Australian Export Awards (AEA) is a national program that recognises Australian businesses for their export achievements and contribution to Australia’s economic prosperity. Check out the other amazing achievements from Flying Bark!